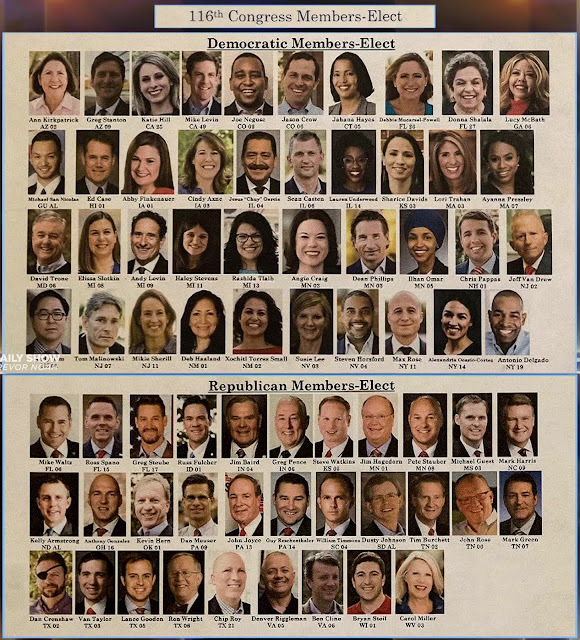 The Republicans are really stepping up their diversity with the incoming Congress. The new and improved GOP has added many more styles of comb-over and receding hairlines on the white men they're sending to Washington! Oh yeah, and shout out to Carol Miller (R WV-D3) - the Smurfette of incoming Republicans!